This Sunday, President Trump takes on his own government, the CIA, dismissing its finding and siding with the Saudi crown prince in the Khashoggi murder. He denies it vehemently. Maybe he did or maybe he didn't. Election integrity, questioning those results. All of a sudden, out of the wilderness, they find a lot of votes. And the federal courts, after a disappointing ruling. This was an Obama judge. It's a disgrace what happens with the Ninth Circuit. That prompted a rare rebuke from Chief Justice John Roberts who says, "We do not have Obama judges or Trump judges, Bush judges, or Clinton judges." My guests this morning, Senate Judiciary Committee member, Republican Mike Lee of Utah and Democratic Congressman Elijah Cummings of Maryland, the incoming head of the House Oversight Committee. Plus, businessman Tom Steyer spent more than $100 million supporting Democrats and calling for President Trump's impeachment. This president is a clear and present danger. He's mentally unstable and armed with nuclear weapons. He sounds as if he's running. Is impeachment the way to energize voters on the left? My interview this morning with Tom Steyer. And a new report says the consequences of climate change include not just fires, floods, and droughts, but a big loss to the U.S. economy. So why is the Trump administration dismissing its own report? Joining me this morning for insight and analysis are presidential historian Doris Kearns Goodwin, Helene Cooper, Pentagon correspondent for The New York Times, Danielle Pletka of the American Enterprise Institute, and NBC News political analyst, Elise Jordan. Welcome to Sunday, it's Meet the Press. Good Sunday morning. When President Clinton lost control of both houses of Congress in 1994, the day after the election, he accepted his share of responsibility. Mr. Clinton then worked with the new Republican majority on issues like welfare reform and balancing the budget. And two years later, both were easily reelected, the Republican Congress, and President Clinton. When President Obama lost the House in 2010, he called the 63-seat defeat a shellacking. Mr. Obama then worked with Republicans to make the Bush tax cuts permanent, something he had opposed as a candidate. And two years later, he and that Republican Congress, were easily reelected. The Clinton and Obama experiences are a blinking yellow light to those assuming this year's sweeping Democratic House gains, 38 seats and counting, mean President Trump's reelection chances are in big trouble. But both Mr. Clinton and Mr. Obama accepted the public's rebuke of their presidencies in those midterms. And they pivoted to work with the new opposition in some way. So far, President Trump has done no such thing. In fact, he's sticking to his base-only strategy, even accelerating attacks on those he considers to be his opponents. Since the elections, he's attacked the press again, attacked the judiciary again, attacked our election integrity again, and sided with an authoritarian regime over his own CIA again. Are his assaults on American institutions helpful to his presidency? Politically they might be. But they're certainly unprecedented. We get a lot of bad court decisions from the Ninth Circuit, which has become a big thorn in our side. President Trump using a Thanksgiving teleconference with troops deployed overseas to renew his attacks on the U.S. courts and double down on criticism of Chief Justice John Roberts. I like him and I respect him. But I think we have to use some common sense. That's after Roberts, in an extraordinary step by a chief justice, rebuked the sitting president for slamming a federal judge who ordered the administration to accept asylum claims from migrants no matter how they enter the United States. You go to the Ninth Circuit and it's a disgrace. And I'm going to put in a major complaint. This was an Obama judge. The judge, Jon Tigar, does not actually sit on the Ninth Circuit. The ruling was handed down by a district court. Roberts defended an independent judiciary to the Associated Press saying, "We do not have Obama judges or Trump judges, Bush judges, or Clinton judges. What we have is an extraordinary group of dedicated judges doing their level best to do equal right to those appearing before them." Mr. Trump's renewed attacks on the courts are just his latest assault on American institutions. He's questioned U.S. elections, claiming without evidence, fraud and electoral corruption. There's a lot of bad stuff going on in this country. He's relentlessly attacked the media. These are just dishonest, terrible people. And this week, he again contradicted his own intelligence community. This time, their assessment of the killing of journalist Jamal Khashoggi, appearing to take the word of the Saudi crown prince instead. The crown prince hates it more than I do. And they have vehemently denied it. The CIA points it both ways. It's as I said, maybe he did, maybe he didn't. House Democrats are promising to examine the Khashoggi murder and the president's financial ties to Saudi Arabia, which Mr. Trump has alluded to for years. I like the Saudis, they're very nice. I make a lot of money with them. They buy all sorts of my stuff. All kinds of toys from Trump. The president is also disputing an urgent warning from his own administration on the issue of climate change. The report from 13 federal agencies was intentionally released on Black Friday in order to bury it in the news. The White House dismissed the findings as, quote, "Largely based on the most extreme scenario." The report warns that if significant steps aren't taken to rein in global warming, climate change could slash the U.S. economy by 10% by the end of the century. Just this week, the president tweeted about East Coast cold weather, "Whatever happened to global warming?" I don't know that it's manmade. You have to show me the scientists. Because they have a very big political agenda. And joining me now is Republican Senator Mike Lee of Utah. He is a member of the Senate Judiciary Committee. Senator Lee, welcome back to Meet the Press. I hope you enjoyed your Thanksgiving holiday break. Let me start with the president's back and forth with the chief justice. It was really the heads of two branches I think having a debate about the Constitution perhaps and I feel as if that's in your wheelhouse. So let me ask you, what was your reaction to the president's dismissiveness of the rebuke that Chief Justice Roberts gave to him about how the judiciary works and how it should be represented by public officials? Look, it's not entirely unprecedented for a president of the United States or another public official to criticize court rulings, in some cases, Supreme Court rulings, as President Obama aggressively criticized the Supreme Court's ruling in the Citizens United case. Now look, this isn't my style. I get very uncomfortable. He didn't call them "Bush justices" though, did he? No, he didn't. But, you know, I served with a number of colleagues in the Senate, including some on the Judiciary Committee who routinely accuse the current Supreme Court of being in the pocket of big business in the United States of America. This makes me feel uncomfortable too. I'm a lawyer by training and as a lawyer, I try to express disagreement about the courts without impugning the court's motives whenever I can. But as a president of the United States, he certainly has the right to express his opinion on these things. The problem is, when he speaks, he carries with him a big following that goes down these rabbit holes with him. He's gone after the judiciary, he's gone after the integrity of our election systems, he's now again contradicting his own CIA, the Justice Department, the free press, we, I could go on and on. You rebuke him rhetorically quite a bit when he does these things. But his behavior never changes. Do you ask yourself what's the point in rebuking him? Do you have a breaking point? Do you have a breaking point? Oh sure. Look, any time somebody violates the Constitution, I'm going to call them out on it and do what I can from my position as a member of the U.S. Senate to stop it. But I do think, to the president's credit, and to what you were saying a few minutes ago about the need for a president to pivot after an election perhaps didn't go his way during a midterm, I think President Trump is doing that. Sometimes with this president, you've got to look not just at what he says, but also at what he does. Look at the fact that in the days following the midterm election, President Trump has come out aggressively for criminal justice reform. This is a big bipartisan opportunity. And I look forward to getting it done. I want to ask you something about what you said though recently. You said that you were so worried about political rhetoric and the rancor and that it's reached such a fever pitch that you said, quote, "It's going to drive our politics toward violence. Ultimately, this will come down to a binary choice, federalism or violence." That's a pretty extreme diagnosis of the current problem. It's not extreme. In fact, it's probably the least controversial speech I've given in a long time. Look, according to a recent poll conducted by NPR, 80% of Americans believe that our political divisiveness in this country, especially at a national level is driving us to a point that could result in violence. This is a real, legitimate concern. It's one of the reasons why the Founding Fathers were right in setting up a government that at the national level would be in charge of only a few things that are distinctively unavoidably, and by designation of the Constitution, mandated to be at the national level while reserving all other powers for states and localities. Recognizing there's a whole lot more agreement on a regional basis, on a state by state, or community-by-community basis, than there will ever be at the national level. And I think that is the best way, it may well be the only way, to avoid some of this divisiveness. I want to speak to the issue with Saudi Arabia. Here was the president pushing back on the C.I.A. assessment. Not necessarily a conclusion, but it's their best, it’s an assessment of high confidence that the crown prince in Saudi Arabia ordered the murder of Jamal Khashoggi. Here's the president responding to it. It's a very important ally. And if we go by a certain standard, we won't be able to have allies with almost any country. Maybe the world should be held accountable because the world is a vicious place. The world is a very, very vicious place. Here's what Fred Ryan, the publisher of The Washington Post, wrote in response to the president's dismissal of the C.I.A. assessment. "A clear and dangerous message has been sent to tyrants around the world: Flash enough money in front of the president of the United States, and you can literally get away with murder." Is he right? I disagree with the president's assessment. It's inconsistent with the intelligence I've seen. Now look, I don't have access to everything the president sees. I'm not sure what he's relying on. The intelligence I've seen suggests that this was ordered by the crown prince and is yet another reason why I've been pushing and why I joined forces with Bernie Sanders back in February to get us out of fighting Saudi Arabia's civil war effort in Yemen against the Houthis. I think this is yet another indication that this unauthorized, unconstitutional war, from our standpoint, is not something that we ought to be fighting. This is not an ally that deserves this kind of military intervention, especially because there's been no connection between the safety of the American people and our involvement in this war. It's one of the reasons why we've got to get out now. And I believe this is an opportunity for the Congress to weigh in and say, let's, let’s halt our efforts in Yemen. Is it fair to ask the question, what is the president's motives behind siding with the Saudis and is it, should Congress look in to see if he's got financial motivations into why he might be siding with the Saudis over the CIA.? Look, I don't know why he's siding with the Saudis. But I think there are things we can do to change our relationship with the Saudis, notwithstanding whatever his personal motivations might be. I'm also certain that in the next Congress, people will look into that. But again, I think Congress has to take some ownership of U.S. foreign policy, especially as it relates to our intervention in this war. Our unconstitutional fighting of a civil war in Yemen that has never been declared by the U.S. Congress is a problem. And that's on us. Final question, I'm curious your reaction to the climate report. This is from the federal government, Congress, you guys ordered the federal government to do this. And let me give you, read you one of the conclusions, "With continued growth and emissions had historic rates, annual losses in some economic sectors are projected to reach hundreds of billions of dollars by the end of the century, more than the current gross domestic product of many U.S. states." Essentially, this document isn't just painting a picture of an environmental catastrophe that's coming, but an economic catastrophe. What are you going to do about it in the U.S. Congress, senator? Well, first of all, I look forward to digging into the report and listening to what other experts on the outside have to say about it. I think it's important, any time we take a report like that to examine what public policies they might have in mind. What public policies that could be brought forward that would address the problem they're addressing, without simultaneously devastating the U.S. economy. There's no question that for a variety of reasons, and regardless of where one stands on the issue of climate change, that the burning of fossil fuels does emit into the environment a number of things that aren't the healthiest for planet Earth. CHUCK TODD:Should we put a price on carbon? Are you open to a carbon tax? Are you open to a carbon tax? No, no, no. I'm not. And all the proposals I've seen so far that would address any of these issues would devastate the U.S. economy and have little or no benefit that is demonstrable from our standpoint. And so I have yet to see a proposal that would bring this about. I think if we're going to move away from fossil fuels, it's got to be done through innovation. And innovation can be choked out through excessive government regulation. We can't let that happen. All right, Senator Mike Lee, we had a busy morning. We got to a lot today. I really appreciate your time. Thanks for coming on and I hope you enjoyed your holiday weekend. All right. Joining me now from the other side of the aisle is Democratic Congressman Elijah Cummings who will lead the House Oversight Committee in the next Congress. Congressman Cummings, welcome back to Meet the Press, sir. Let me start with the Saudi issue first and foremost. Because I know you've been on this issue as well. You have the president disagreeing with his C.I.A. What responsibility at Oversight? Do you look to see if he has financial motivation for making the decision? And is this something Congress needs to look into? I think it's definitely something that we need to look into. And we probably will. Keep in mind, Chuck, one of the things that we’re concerned about in Oversight is the emoluments clause and wondering whether the president is acting in his best interest or those of the American people. And I think this will be appropriate and there are other committees that will be looking at this too. You have so many subpoena requests. And you have members on the Democratic side of the aisle who have all of these investigations they want to start. Your job is to prioritize this. Explain your priorities. Explain what the prism of how you're going to make these decisions about what's worthy of the committee's time and what will look like sort of crass, partisan politics. Well, there are a number of subpoenas that we have requested, some 64. And these, Chuck, are things that we would have normally done under Republican or Democratic administration. But let's be abundantly clear. The American people said to us through this election, "We want accountability. We want to check on this president of the United States." But they also said something else. They said, "We want you to solve our problems." And so a lot of our emphasis is going to be on, and laser focus, on things like the skyrocketing cost of prescription drugs, protecting our healthcare, dealing with things like issues like opioids. And one that is near and dear to me, voting rights. We're going to look at all of that. Now as far as President Trump and his administration, again, the American people have said to us, "They want robust, transparent investigations with integrity." So I haven't figured out exactly what order they're in, because they're all important. But I guarantee you, we will look at it quite a bit. I want to put up a quote here actually from Jason Chaffetz, who you were the ranking member when he was chair of the Oversight Committee on the Republican side of the aisle. And he says, first of all, he makes the following claim: "I sent letters and subpoenas to the Trump administration and got no response. I was stymied every step of the way. What makes you think Elijah Cummings will get a response?" Is he right, by the way? Was he stymied? Even a Republican? I think, oh, no doubt about it. But I also think that the Republicans were aiders and abettors with regard to helping President Trump do some of the unfortunate things that he's done. Because President Trump knew that there was not going to be any pushback. Now he knows there's going to be some pushback. And it's going to be serious pushback because that's what the American people want. Now, I don't know what will happen. We're going to be very careful with issuing subpoenas. I don't want people to think that the first day I walk in there, we're going to have 38 subpoenas going out the door. Not going to do that. We're going to do it very carefully and make sure that it's done with integrity. You did not have your own subpoena power when you were ranking member. That's right. For a long time. And it was the first time that had ever happened, compared to previous congresses, correct? Do you plan on granting your ranking member, whoever it is on the Republican side, subpoena authority? So why not? Explain why you wouldn't. If you believe this is something that should've been granted to you when you were in the minority. I didn't say that. They who have power in Washington, have all power. And I think the American people have said they want checks and balances. The subpoenas that I wanted to issue would be much different than what I've seen. I want to issue subpoenas that go to the very heart of our democracy and protecting that democracy. And subpoenas, by the way, that may involve, say, private industry like the pharmaceutical companies with these skyrocketing drug prices. So it's our opportunity, I will consult with them, I will work with them, unlike they did with me. But, but no. This is one of those "what's good for the goose is good for the" -- I mean, I guess the point is that, when do you stop? Chuck, let me be clear. I'm hoping that we will return to a level of civility now. And that's what I'm hoping for. I hope that we can have leadership that just doesn't move to common ground, but move to higher ground. And I plan to lead that way. And one other thing. Our Democratic party, although we may not have been elected by all the people, we've got to govern as if we were. So what does that mean? You've got to work with this president in some ways, don't you? Oh yeah. Oh, I would love to work with President Trump. I want to hold him accountable not only to the American people, but I want to hold him accountable to himself. Keep in mind, he is the one who said recently that he's for prescription drugs going down. He's the same one who said that he wants-- he complained during the election about the infrastructure and how our airports are so poor and our roads. And now’s the time. Chuck, we only have two years. That's nothing. And so we've got to get it done. We don't have to hit the ground as Democrats running, we have to hit the ground flying. Let me ask you about the president's potential deal with the incoming government of Mexico, it's not clear yet if they've totally signed off on this, but the idea that any asylum seekers that come through Mexico, seeking asylum, would stay in Mexico until their court date in the United States. If the president cuts a deal with Mexico, are you supportive of that? Because that's not the law. They should be allowed to come in, seek asylum, that's the law. Would you support changing the law? No, no. I think that we have a system that has worked for a long time. This president has come in, wants to change it, that's up to him. But now the Congress has got to stand up and hopefully they will. Do you think what he's doing is constitutional? I don't know. We'll see. I don't think so. But we'll see. And that's another thing. A lot of people don't realize that President Trump is now, he's basically controlled the legislature because they've been aiding and abetting him and defending him, by the way. He of course controls the executive branch. And now he controls pretty much, or is trying to control the judiciary. So he basically had all three branches with no check. Now he has a check. And again, but Chuck, let's not be confused. We have got to address the things that the American people want us to address. They are tired of this. They are tired of hearing the lies. They're hearing people say that a lie is the truth, the truth is lies. They're tired of it. And what they're saying is, "Help me get my prescription drugs, help me get healthcare, help get my roads straightened out." So what you're saying is if you're worried about tax returns, then you’re not -- that isn't what you want the focus to be? No, my focus is on -- my zero focus is on the day-to-day lives of the American people. But I'm also, by the way, we can do more than one thing at a time. I'm also focused on making sure that after this storm is over, and I do consider it a storm that we're going through, the Trump storm. After the storm is over, what will we have? Will we have our democracy? And as I've said to the president, when I spoke to him in his office, I said, "Mr. President, look," I said, "I'm 67, you're 70." I said, "The greatest gift we can leave to our children is a democracy intact and opportunity and with their voting rights." And that's so important to me. Elijah Cummings, Democrat from Baltimore, Maryland, thanks for coming down. Being here, sharing your views, I hope you enjoyed your weekend. All right. When we come back, President Trump takes on the courts, the intelligence community, the press, our elections, the judiciary, we'll discuss. Panel is next. Welcome back, panel is here. Danielle Pletka of the American Enterprise Institute, Helene Cooper, Pentagon correspondent for The New York Times, presidential historian Doris Kearns Goodwin, author of the new book Leadership in Turbulent Times, and NBC News political analyst Elise Jordan. All right, I'm going to start simply with the president when he was asked what he's thankful for, because it sort of allows us to kick off all of this conversation. Take a listen. What are you most thankful for, Mr. President? For having a great family and for having made a tremendous difference in this country. I've made a tremendous difference in the country. This country is so much stronger now than it was when I took office that you wouldn't believe it. And then here's what Kathleen Parker wrote. It was sort of in response to this. "When reality is ignored or recharacterized in ways that defy logical thinking and mute rational rebuttal, then 'new normal'" in quotes, "becomes, drip by drip, just another category of current events. This (horrible, tragic, bizarre) thing happened, and the president said this (loony, off-the-wall, obscene) thing." Wash, rinse, repeat, Dany. The first thing I thought when I saw him say that, we were all talking about turkey before as everybody at Thanksgiving is thankful for turkey and I guess President Trump is thankful for a turkey as well. And I did not think of that beforehand. It, look,this tells us everything that we already know about Donald Trump, which is that his entire point of reference, everything that he thinks about is, is about himself. And that is going to be the answer to every question you ask today, whether it's about Saudi Arabia or it's about climate change or it's about anything else. Donald Trump is number one about Donald Trump. I don't know, Chuck. I was just thinking about what I'm thankful for, it's me. I’m just great, I'm thankful for me. I'm thankful for you, and you, and you, and you. It's always been me, me, me, though. So it's sort of that's what we come to expect. I think what's been really interesting in the past week just watching President Trump is, is starting -- you really are starting to see made clear just how little he both understands about sort of the institutions of the United States and what make this country the country that we all love. And the things that he does understand is sort of like, you know, how little he cares. When you go from the attacks on the judiciary to sending American troops to the border to attacking the military for not catching Osama bin Laden fast enough when it was actually the CIA that was responsible for the hunt for Osama bin Laden to look his, at what I found to be a rather refreshing statement on that just announce, sort of laid out the-- in honest terms, the American relationship with Saudi Arabia, which has always been pretty transactional. And he just came out and said it. He said what it is. I'm going to put up, he also used eight exclamation points. I highlighted six of them. Of course, this was not from the president, it was supposedly a statement of the United States. "America first! The world is a very dangerous place!" I won't read them all here, maybe he did, maybe he didn't, Doris, questioning. I mean, can you imagine F.D.R., Teddy Roosevelt? No, you can't. I know the answer to that already. But the exclamation points the -- and yet, Helene's right. It was the most honest statement a president's ever said about our relationship with Saudi Arabia. Well, his asides always seem to be what really he mean-- is thinking about. I mean, I love the one when he was asked in the FOX interview, you know "How do you rank yourself, you know, with Abraham Lincoln and F.D.R. and Ronald Reagan?" And he said, "A plus. You can't go any higher." So I kept thinking that you know, Buchanan always used to be the lowest in the presidential polls. And recently they did one that put Trump at the bottom. So the Buchanan family was celebrating, they were no longer at the bottom. But the thing that worries me is that the attacks on these institutions, you're really attacking the rule of law and the checks and balances. And the worry is, do the people themselves understand how troubling this is? We're in a rip tide, they could really blow us over. I saw a recent study in The New York Times where they said one out of three people couldn't even name a branch of the government. That one out of ten people thought Judge Judy was on the Supreme Court. It's funny, but it's not funny. Where is that civics that when I was an old girl, a young little girl, we studied. I think I want to go back to middle school now and start teaching middle school kids and teaching them how to go active into city council, how to go after the state legislature. Learn what the system is about so we know how dangerous the cumulative attack on every institution is for our country. --And that's why it's key what Representative just said about looking into Donald Trump's personal ties with Saudi Arabia. Well, you just tee'd up something. Here's Thomas Friedman, Dany. I really -- here's what he writes, " I really wrestle with this question: What is the worst thing about President Trump's approach to foreign policy? Is it that he is utterly amoral or that he is such a chump? Because the combination is terrible. He sells out American values—awful enough—but then gets nothing of value in return." A little harsh? About all 85,000 kids in Yemen? About the thousands of children in Yemen, about what is happening, about the murder frankly, clearly, by the way, ordered by Vladimir Putin of dissidents in the U.K., if everybody cared about those the same way, I would credit the objections to his statements on Saudi Arabia a lot more. But he was elected to upend the status quo when it came to foreign policy. And that's not what he's doing. He's instead reinforcing the very worst elements of a policy that quite frankly just isn't working. When I would argue that Saudi Arabia has done more to further terror than Iran. And that's a debate we can have. But you look at what he's doing, it is not what he was elected and his supporters wanted when they took Donald Trump to office. That's not quite factual, I'm afraid. I'm afraid Iran actually is the largest supporter of terrorism than Saudi Arabia. Saudi Arabia also, I hate being in the position of defending them, but Saudi Arabia has done more to turn itself around in terms of financial support for terrorism, in terms of support for individuals in terms of private support for terrorism, than almost any country. Iran remains the supporter of Hezbollah, probably the most powerful terrorist group in the country. Iran is responsible for what's happening in Syria. Iran is responsible for the Houthis. Iran is responsible for what's happening in Bahrain. Don't forget who Iran is. Yes, I think that-- we all remember 9/11. But thank you Elise. All right. I will pause the conversation there. When we come back, is campaigning for President Trump's impeachment a successful strategy to win the Democratic nomination in 2020? My next guest may be about to find out. Tom Steyer joins me next. Welcome back. When 18 candidates ran for the Republican presidential nomination in 2016, it seemed like a lot. And it was. But we're likely to see even more Democrats taking the plunge in 2020. From working-class liberals to those calling for President Trump's impeachment. My next guest definitely belongs to the impeach-Trump crowd. Billionaire Tom Steyer spent more than $100 million for Democrats in the midterms. And his face was a regular presence on cable television. Yet today, people in Congress and his own administration know that this president is a clear and present danger who's mentally unstable and armed with nuclear weapons. Steyer has been holding town halls and he's just announced five more, four in early primary and caucus states, the four you're familiar with, plus California, which is trying to become an early primary player with moving up its primary as well. Tom Steyer joins me now. Mr. Steyer, welcome to Meet the Press. Chuck, thank you for having me. All right. As I noted there, there are 30 potential Democratic candidates that could run. Why you and why you more so than any of the other 30? Well, let me stop you and say that I haven't decided to run for president. What I did in 2018 was basically two things: our organization NextGen America mobilized the largest youth voter action in American history. And at the same time, Need to Impeach, the organization I start, gathered almost six and a half million signatures of American citizens calling for the president's impeachment and removal for office.So basically, during 2018, I was full-time working on grassroots organizing Americans to get their voices heard in the country. What I'm doing right now is putting out an agenda, a framework for a social contract for the 21st century, which I called the Five Rights, which are the rights that Americans need to be free to pursue their own life and their own destiny. I read it, it sounds like a presidential platform. Is it fair to call it that? What it is is a framework for thinking about how we can have a positive agenda in the 21st century. And I'm putting it out there for all the people who are running for president to look at and get behind. Because what's missing in American politics is a positive vision of what this country stands for and what the social contract is with American citizens so they can be protected in the world and have the freedom to go forward and live out the lives they want to live. Let me get you to respond to something that Paul Waldman, a progressive columnist at The Washington Post wrote about you. Fairly flattering portrayal, but he wrote this: "I will admit that I start with a bias against billionaires who think they should be president. The super rich tend to live in a bubble in which everyone is constantly telling them how brilliant they are, which helps to convince them that because they succeeded in one area, they can succeed in any area." Explain how you're not in a bubble, a billionaire bubble. Well, I see you haven't met my family. The other thing I'd say is this, I have spent the last six years traveling around the United States talking to average citizens, going to red states and blue states to really understand what Americans are going through. And what I can tell you, Chuck, is it is really close to the bone.At one of my town halls in Newark, about six weeks ago, two different people stood up and said, "If they had repealed the Affordable Care Act, I wouldn't be here because I'd be dead." One of our five rights is the right to health. We need universal healthcare as a right. I was down in Greensboro, North Carolina, probably the week before the election.And I was talking to a bunch of college students. And one of the people who was at lunch with me was a young man named Chavez, who was 18 years old, who had gotten a 4.1 in high school, who had absolutely dedicated himself, gotten into college, couldn't afford to go. One of the rights is the right to learn. Free education, pre-K through college. We can afford this. What you see when you go around the United States is how close to the bone average Americans are. That's the news. But let me go back though, why you? Why you and not Elizabeth Warren or Bernie Sanders or Sherrod Brown? Because they have similar experiences, they've been to these towns, they have similar points of view. So what do you think you bring to the table that's different than these other electeds? Look, I'm one of the luckiest people in the United States. There's no question about it. I had a family that really took care of me, they made sure that I got a fantastic education. I never had to wonder whether I was going to have a hot meal at night. I knew I might not like my mother's cooking. But I knew for sure I was getting a hot meal.I feel as if I've been enormously privileged both by my family taking care of me and by what people have built in the United States over hundreds of years. But what I've seen when I was investing money for schools and foundations and people was that this system has been rigged for big corporations and people like me.And unrigging this system, it's not about me, Chuck. It's about getting the needs of the people of the United States put first and foremost, which they are not right now in our political system, and which they all know that they're not first and foremost. Where would you prioritize impeachment right now for the new Democratic House? You think it's front and center, don't you? I think it's an absolute first step to getting towards a positive vision for the country. And let me say this. You would start with impeachment? If you with Elijah Cummings, well, he's on Oversight. So Judiciary Committee, you would start drawing up these articles? I think there's no question that this president has both met the grounds for impeachment and that it's urgent to get him out of office and everything. I was just listening to the last segment when you were talking about Saudi Arabia. Is there anybody in the United States who can tell you that the president is acting on Saudi Arabia not because the Saudis are paying him money? But let me ask you. What is your line on foreign policy? There's some allies that are sort of necessary evils. It's American foreign policy realism. Where do you draw the line on human rights versus America's national interests? But would you cut off trade with China, for instance, because of their human rights policy? Absolutely not. But would I also cut off all values in order to get along for a short-term bump in some trade situation? Also not. The United States has done best around the world when we've done right. Because then people understand who we are and the idea of cooperating with people who are fair trade partners, who have a broader vision, who understand that when you cooperate, everybody does better. That in fact, a fistfight is not where you create the most value. Chuck, did you learn that when you were in fourth grade? Final question is this. What's the biggest impediment to running for you? No, this is for you. I understand. I'm answering your question. What's missing in America is a positive vision. So what I'm looking for is someone going to take something very similar to the Five Rights that I put forward to protect the American people and really run with it so that we have a vision of what we're trying to do. If another candidate grabs your Five Rights, you'd step aside? If there's somebody out there who's-- this is about the people of the United States, not the person. If there is a movement to get in place something that we desperately need, which we've always had, which is a vision of what this country stands for and how the American people come first, I will be part of that movement, absolutely, 100%, one way or the other. Whether you're a candidate or supporter? All right. Tom Steyer, progressive activist from California, thanks for coming on and sharing your views. Much appreciated. Be safe out there. When we come back, Democrats picked up as many as 40 House seats in the midterms. But some people, including myself, are still not calling it a wave. Why? I'll explain next. Welcome back, Data Download time. Chances are, this Thanksgiving you probably found yourself gathered around the family table arguing about politics. And one of those arguments probably went a little something like this, "It was a blue wave." "No, it wasn't." Well, at least at my house. So what's the deal? Well, Democrats are going to net at least 38 seats in the House. And with two GOP-held seats still undecided, it's possible the Democrats could get up to 40. Historically, that's big. The last time Democrats gained this many seats in a midterm was 1974, the post-Watergate election. One point for team wave. Democrats also won the national House popular vote by a whopping 8.9 million votes, 53-45, eight points. In the GOP's last to wave elections, '94 and 2010, Republicans won the popular vote by a smaller margin. So that's another point for team wave. But was it a wave? Maybe not. Republicans knocked off Democratic Senators in North Dakota, Missouri, Florida and Indiana while losing only in Arizona and Nevada. As of now, they're plus two in the upper chamber. A real wave should have saved two or three of those vulnerable incumbent Democrats, and two of them lost by six points each. Point for team no wave. There were also some high-profile losses for the Democrats, nail-biters in Georgia's governor race, in Florida's governor and Senate races all went to the Republicans. Plus in Ohio, Democrats lost every big race, except for hanging onto Sherrod Brown's seat, and they hung onto that by a smaller-than-expected margin. All points for no wave. Look, there are strong points for both sides of this argument. And the strongest point for the pro-wave side are the House results, coast to coast. But it may be more accurate to describe this election as a realignment, not only because of the results in states like Missouri, Ohio, Indiana, Florida and Georgia but because of the strong turnout for both parties. In a wave election, one side usually stays home, demoralized. That didn't happen in 2018. When we come back, could Democrats pull off a big surprise in Tuesday's runoff Senate election in Mississippi? Back now with End Game. I want to get to the climate report. The Fourth National Climate Assessment was released by the government on Friday. It detailed some dangerous consequences from climate change for the rest of this century. Some of the projected impacts include, according to this report, three to 12 additional degrees of warming by 2100, .05 to 1.2 feet of sea level rise by 2050, that's not very far away, guys, and 30% increase in area burned by lightning-ignited wildfires by 2060. This report was put out on Black Friday. It's congressionally mandated, the Trump administration had to do this. Their own response to their own report was, "Hey, this was worst-case scenario. We'll have a different assessment down the road." What do you make of it? I make of it that there's an absolute lack of leadership on the corporate level, on the national level, even on the state levels of what we have to do. Whether or not this is man-made, whether or not it is, and it clearly is man-made, but whether some of it is made from something else, it doesn't even matter. What matters, if we're seeing everything around us, we're seeing the fires, we're seeing the droughts, and now they say this may happen by 2050? Maybe that means we'll begin to think our children may be alive in 2050, our kids will be alive. Every important act that's been taken in America is because people in the government begin to feel, "I care what's going to happen to my kids or my grandkids." Why did we do civil rights? Because it was going to be better for the South in the long run. We went through a tough period, and now maybe we're coming up with a new South. You have to look at the future. If you can't look past yourself and the greater good and not the future, it's not leadership. There is no leadership on this issue. Elise, this talked about an economic impact, which I actually think for politicians might wake them up more than an environmental impact. Well, that would, you would hope, start to wake up Republican politicians. But to Doris' point, I'm very concerned about the short-termer-ism within Congress. And there's no political will to put down and think intensively, make tough political choices, and think about the future when there isn't an immediate political payoff. And so I do think it has to be more of a corporate interest, for corporate interests to come together and try to deal with this. And even if it isn't worst-case scenario, even a 20th of this is a big problem. -- for people wondering. It seems to be at least that. And, and, and that's a pretty substantial bunch of people. The problem for many is that they perceive this as an agenda that is much more about corporate and much more about law and much more about the kind of governance that America has and much less about climate. So from the standpoint of those who have doubts about this, and I don't think we can have any doubts that there is climate change, whether it's anthropogenic, I don't know, I'm not a scientist. I look at this as a citizen and I see it so I understand it. On the other hand, we need to also recognize that we just had two of the coldest years, the biggest drop in global temperatures that we've had since the 1980s, the biggest in the last 100 years. We don't talk about that because it's not part of the agenda. The United States has been dropping in C02 emissions since we pulled out of Paris. There are actually good things that are happening. We are not using dirty coal anymore. It's the Europeans who are using dirty coal. There actually is some corporate leadership on this. Yes, we need to deal with these problems, yes we need to mitigate the things we see. But we shouldn't be hysterical. Helene, it does seem as if there's actually more corporate interest in doing something than there is government interest. Yeah, it's just the problem is it's not the corporations that are polluting the most. And I actually think we should be hysterical. I'm going to disagree with you on this. I think anybody who has children or anybody who can imagine having children and grandchildren, how can you look at them and think this is the kind of world that through our own inaction and our inability to do something, that we're going to leave them? I think I'm really glad that you're actually having us talk about this on this show because I think it was the height of cynicism to release this report on Black Friday by the Trump administration. And I just think that at some point, we are going to need not just the political leadership, but also the corporate leadership to actually sit down and do something about this. It does seem as we're afraid of buying this insurance policy. Why are we afraid? Elise, why is the Republican party in particular afraid of buying this insurance policy? I think it goes back to deeply-entrenched corporate interests within the Republican party and this is a very defined policy platform that you can see how Republicans have been historically very influenced by their donors on this plank. And you're not going to see it shift. I think that philosophically, the anti-regulation bend is there. But I do think that if you look at donors, there's a direct correlation there. This is why education of the citizenry is essential. In the end, the citizenry has the power. And it's like it was a movement. There was an environmental movement, but it has to be upped up now. And every young person has to realize that they're fighting. But old people are fighting for the young people too now. I care about them. We all care about those kids. You're so right. CHUCK TODD:We need better civics. We have a responsibility, better civics. And better grammar, by the way. I'll be with you on the grammar one. We need that too. Trust me. All right, before we go, if you'd like to help the victims of the California wildfires, we've picked out a few organizations that we have found that we think you should reach out to. If you don't have a pen handy, don't worry, we have the organizations listed on our Meet the Press social media accounts. That's all for today. Thank you for watching, I hope you enjoyed your Thanksgiving break. 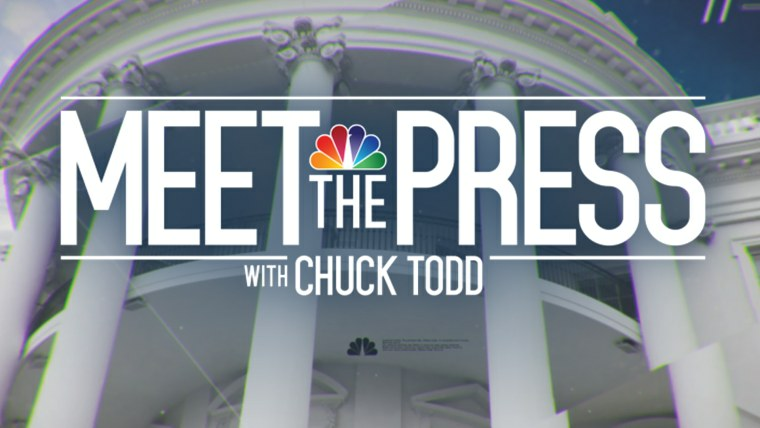 We'll be back next week because if it's Sunday, it's Meet the Press.